In all instances, you are encouraged to work with your book printing/publishing consultant in order to assist meet your colour expectations, within it’s limitations. It can take a little to and fro-ing of your book files if you want colours that are precise. Most files will print nicely from the electronic version to the paper print version. – However, some files such as paintings and precise colour matching require more time to develop to gain the look and feel you require in print. Be patient and work with your consultant who is an expert in the book printing process. Keep in mind that it is the file or image that determines the output and quality. And not normally any print machine itself (Only state of the art top quality commercial printing presses are used). Your consultant can only work with what files you give him/her. This could take a little to and fro-ing while amending the image output. Along with several book proof copies produced before the final desired outcome is achieved. Especially if you are not experienced in print design publications. For starters: Any document or book manuscript created in MS WORD will hold the RGB value. RGB – meaning: it will only have three colour components – red, green and blue. Now, for family history books and manuscripts where authors just want to see the images on the pages. Or authors that are not looking for an absolute perfect output of images, then MS WORD created files will suffice. 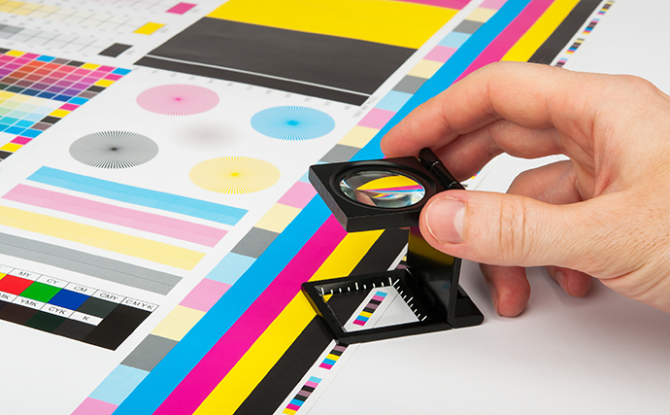 Your RGB file must be translated to CMYK in order to print on a commercial printing press. Some images may print well enough colour wise on a digital print machine. However, on a commercial printer the colour will be completely different if you haven’t done the cmyk conversion. Commercial presses speak the cmyk language. Giving a RGB file to a commercial press is like an English person speaking trying to talk to a Japanese speaking person. The end result may be disastrous or not what you expect. Now, if you are creating your files for book printing with the MS WORD Program you will not have a cmyk option. All images will remain RGB VALUE. Programs such as Indesign and MS Publisher do give CMYK image options. These are the preferred programs for book printing. Many graphics software programs give you the choice to work in either RGB or CMYK. These are called “colour spaces”. Scanners and digital cameras create images using combinations of just three colours: Red, Green and Blue (called “RGB”). These are the primary colours of light, which computers use to display images on your screen. Printing presses print full colour pictures using a different set of colours, the primary colours of pigment: Cyan (blue), Magenta (red), Yellow and Black (called “CMYK”). This is “4-color process” or “full-colour” printing that comprises the majority of magazines and marketing materials you see every day. For precise image quality in print, you should complete the RGB-to-CMYK Conversion with your images. You will have more control over the appearance of your printed work if you convert all of the images from RGB to CMYK before sending them to us or any commercial printer. If we are formatting your files ready for print: When we receive RGB images, we do a standard-value conversion to CMYK, which may not be perfectly to your liking. We want you to be happy, so please, take the time to prepare your files properly. We cannot be responsible for sub-par results if you supply your images in the RGB colour space. Even though monitors always use RGB to display colours, the colours you see on your monitor will more closely match the final printed piece if you are viewing them in the CMYK colour space. Be aware that it is possible to see colours in RGB that you can’t make with CMYK. They are said to be “out of the CMYK colour gamut”. What happens is that the RGB-to-CMYK translator just gets as close as possible to the appearance of the original and that’s as good as it can be. It’s something that everyone in the industry puts up with. So it’s best to select any colours you use for fonts or other design elements in your layout using CMYK definitions instead of RGB. That way, you will have a better idea of how they will appear in your printed piece. Here’s a common example: Many programs translate the 100% Blue in RGB into a somewhat purple-looking colour in CMYK. We recommend a CMYK value of 100-65-0-0 to get a nice clean blue. Working in the CMYK colour space allows you to select the CMYK recipe, or “screen build”, that gives you the results you want. Microsoft Publisher – The newer version does not have a cmyk option. Here are some examples of how various RGB colours convert to CMYK on the print machine if you have not done your CMYK conversion before sending to print. You most likely won’t notice this kind of colour shift in a colour photograph. It is more likely to happen if you pick a very rich, vibrant colour for a background or some other element of your layout. It probably won’t look bad, it just won’t look exactly the same. But it may not be noticeable at all either. Here is a list of several common programs with instructions on how to make sure you are working in the CMYK colour space. If your program or version is not listed here, don’t worry. Most of these instructions will apply to all versions of a program. If at any time you need further help, please call us for assistance. We are happy to talk you through the steps needed to get your document into the CMYK colour space. Microsoft Publisher defaults to RGB. It is easy to convert everything to a CMYK colour space or to start a new document using the CMYK colour space. Use the following menu options for book printing: Tools/Commercial Printing Tools/ Colour Printing and select Process colours (CMYK). Please note that all images incorporated into a layout need to be linked and not embedded in order to maintain the CMYK colour space within the image. Using the following menu options does this: Tools/Commercial Printing Tools/Graphics Manager and highlight the embedded image. Click Link and click Browse to locate the original file and link to it. You will then need to send both the images and the layout file to us for printing. If the file already exists select the following menu options: Image/Mode/CMYK When starting a new file select CMYK for the mode before clicking OK. Select each object you want to convert. Select the Fill tool and click Fill Colour Dialog. Make sure the Colour model is CMYK. For each object with an outline: Select the Outline tool and click the Outline Colour Dialog. Make sure the Colour model is CMYK. Use the following menu options: Edit/Edit Colours/Show Colours in Use/Highlight Colour and click Edit. Change model to CMYK and deselect Spot colour. Remember to send us your layout and linked images! Use the following menu options: Window/Swatches and Window/Colour. Double click colour in Swatches Change colour mode to CMYK and colour type to Process. Any colours created in the document that are not in the Swatches palette, need to be changed to the CMYK colour space. Select each object you want to convert and make sure the Colour palette reflects the CMYK percentages. Click top right arrow in the palette to change to CMYK if necessary. Remember to send us your layout and linked images! Use the following menu options: Window/Show Colours. Double click “colours” in palette and select Model to be CMYK and Type to be Process. Please be advised that Page-maker does not successfully represent CMYK colour on the monitor. The following programs do not have the capability to convert to CMYK. No worry, we will convert it for you free of charge! If you do not see your program listed here, or are having difficulty converting RGB to the CMYK colour space, please call us on 07 417 00 751 for further assistance.